Hello! Have you heard of 'the way to a man's heart is through his stomach'? Yes, cooking food for a man is a good way to win his affections. But hey...... I beg to differ! The same quote apply to the female too, ok. I don't know about you, but a man that can cook deserve brownie points. 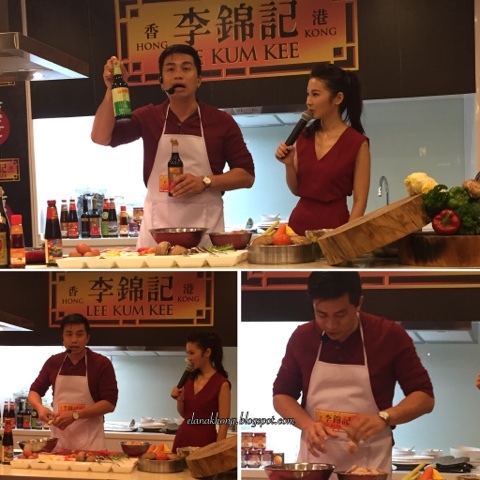 That being said, when I was invited to Lee Kum Kee "Cooking with Celebrities" with Chan Fong (radio host) and Jeffery Cheng (actor) at Starhill Culinary Studio, I know I shouldn't miss this. 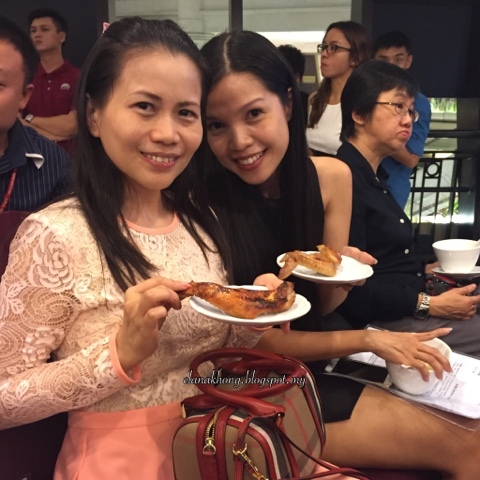 The duo presented their very own easy-to-cook Asian inspired recipes which took only a few minutes to prepare and cooked within half an hour. 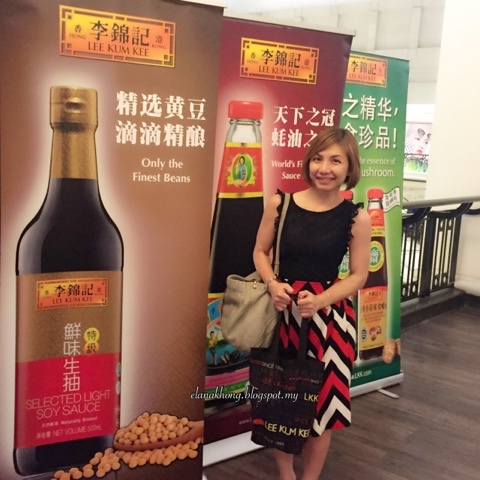 Founded in 1888, Lee Kum Kee a household name has been a trusted brand for generations and its sauces are synonymous with Chinese cuisine. Its success lies in the company's belief that quality should never be compromised and all its products are a reflection of this stringent policy. 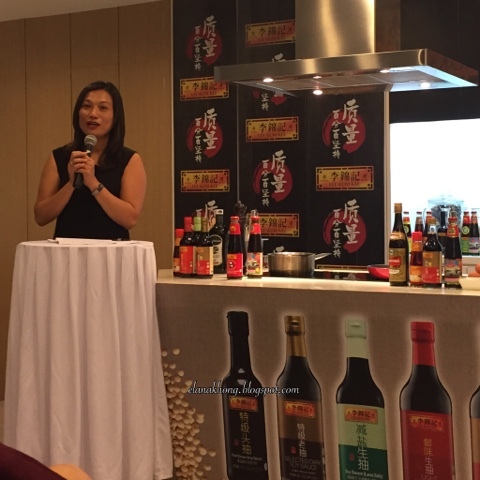 The origins of Lee Kum Kee began with the creation of the flavourful and amazing oyster sauce by the founder of the company, Mr Lee Kum Shueng, in China's Guangdong Province. Ms May Lim, Managing Director of Lee Kum Kee South East Asian, Middle East and Asia giving her welcome speech. 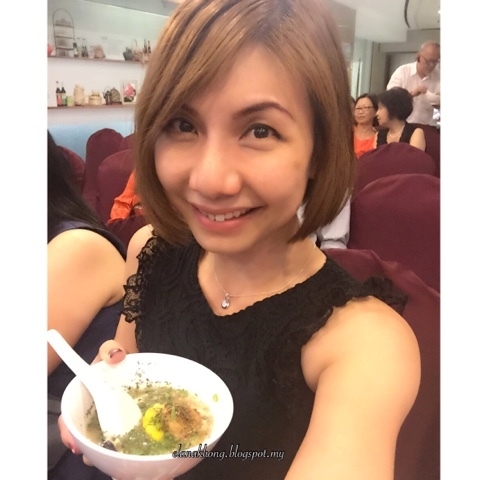 Richly flavoured with sweet and savoury tastes from the blend of local ingredients likes lemongrass, coconut milk and honey as well as Lee Kum Kee Premium Brand Oyster Sauce and Lee Kum Kee Selected Light Soy Sauce. Filled with the goodness of organic vegetables and scallops, his superior quality and healthy recipe were further enhanced with Lee Kum Kee Brand Oyster Sauce and Lee Kum Kee Sesame Oil. 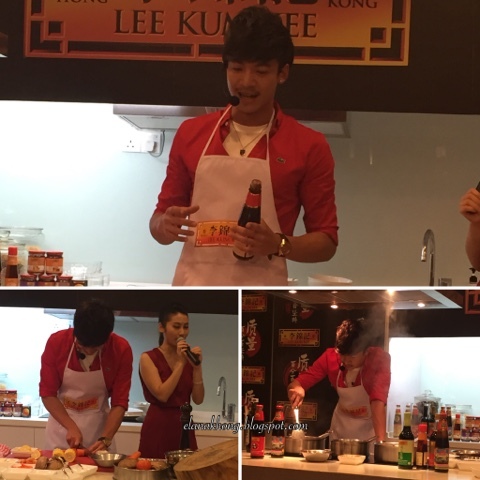 Today, Lee Kum Kee is available around the world in 100 countries and bringing a delicious gastronomy delights to the table with over 200 sauces and condiments.